The case has been filed on the complaint of a Bajrang Dal leader who is the main accused in the mob violence case. Eleven-year-old Armaan (name changed) visited a police station for the first time late on Monday evening, as did 12-year-old Saif (name changed). Both had been summoned by the police in Siyana town in western Uttar Pradesh’s Bulandshahr district in connection with the violence in the area earlier that day in which a policeman and a civilian were killed. While Armaan went with his father, Saif was accompanied by his mother. 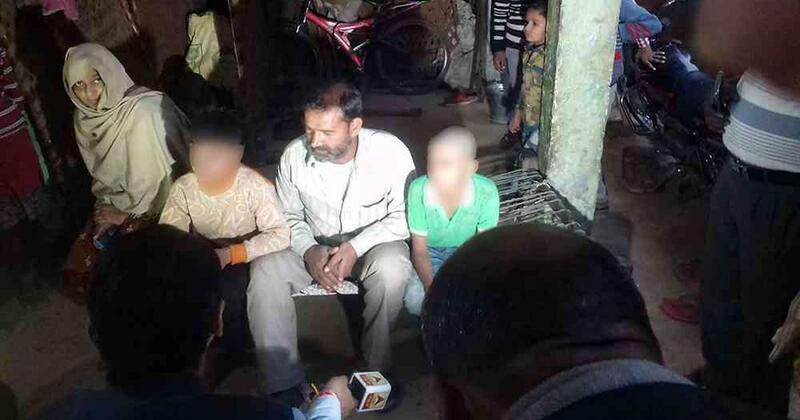 “I had watched police stations in movies but my experience was not as unpleasant,” said Armaan as he sat on a charpoy next to his father in the veranda of their home in Bulandshahr’s Nayabaans village on Tuesday evening. Saif and his mother, who are their neighbours, sat on the other end of the charpoy. The two boys are among seven Muslims named in a cow slaughter case filed by the Uttar Pradesh police on Monday afternoon. It was filed at about 1 pm, hours after a mob led by Hindutva activists brought animal carcasses in a tractor trolley to the Chingrawathi police post, 2 km from Nayabaans, and alleged that the carcasses were of cows that had been freshly slaughtered in a field in neighbouring Mahaw village. The activists blocked the Bulandshahr-Garh road in protest. When the police tried to reason with them, they began throwing stones. 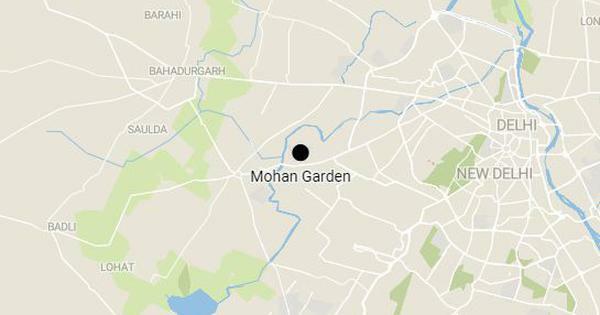 The matter escalated and the mob ended up killing Inspector Subodh Kumar Singh and a civilian, and setting a portion of the police post on fire. At around 3 pm on Monday, at Siyana police station, the police filed a first information report on the mob violence, identifying 27 men as the accused. One of them is Yogesh Raj, a 22-year old law student who is the district convenor of the Bajrang Dal, the youth wing of the Vishwa Hindu Parishad, which is part of the Sangh Parivar. He lives in Nayabaans village. This village, along with Chingrawathi and Mahaw villages fall within a radius of 6 km. While the mob violence was still raging, the Siyana police station had filed an FIR based on a complaint by Raj. Raj stated in the complaint that around 9 am on Monday, he and three of his friends had gone for a walk from their village. In a forested area near Mahaw village, they spotted seven people slaughtering cows. Before they could raise an alarm, those people fled. In the complaint, Raj identified them by name – Sudaif Chaudhary, Ilyas, Sharafat, Anas, Shajid, Parvez and Sarfuddin. He said they were all residents of his village. The FIR was filed under sections of the Uttar Pradesh Prevention of Cow Slaughter Act, 1955, and under provisions of the Indian Penal Code pertaining to “insult to religion”. Yogesh Raj's home. (Photo credit: Abhishek Dey). 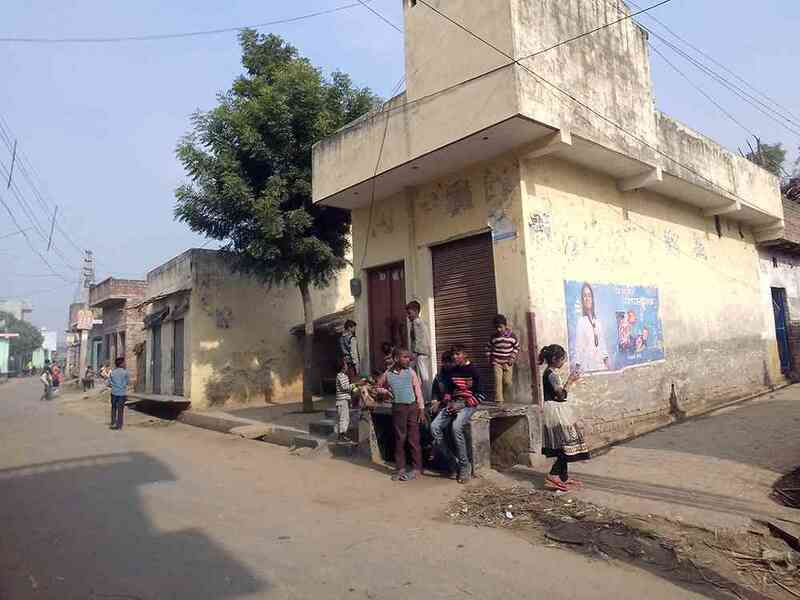 Nayabaans is a Jat-dominated village that is also home to Muslims and Dalits. 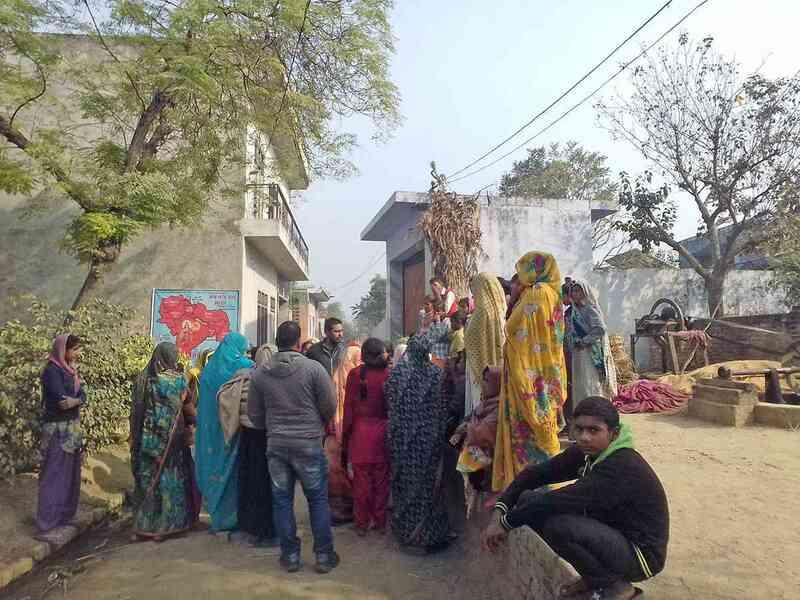 While the Jats own land, the Muslims and Dalits work as daily wage labourers in Siyana, Garh Mukteshwar, Bulandshahr and nearby towns, the residents of the village said. On Monday evening, police teams came to the village to identify the seven accused men. Residents of 50-odd Muslim homes in the village assembled at an intersection. The police called out the seven names, one by one. The villagers told them there was no adult residents by the name of Sudaif. They said there used to be two men named Ilyas but both of them left the village with their families around 10 years ago, in search of jobs. Sharafat has been living in Haryana’s Faridabad with his family for years now and hardly comes to Nayabaans village. There was no adult named Sarfuddin in the village, despite it being a common name. The two minors were the only ones who bore names the police had called out. The police then asked the parents of the two boys to come to the police station with their children. Saif’s mother was visibly distressed. The late-night police raids in her locality had added to her anxiety. “It feels like even though he [Saif] is a child, the police can take him away for any reason because he has been named in a case,” she said. Outside Yogesh Raj's residence. (Photo credit: Abhishek Dey). 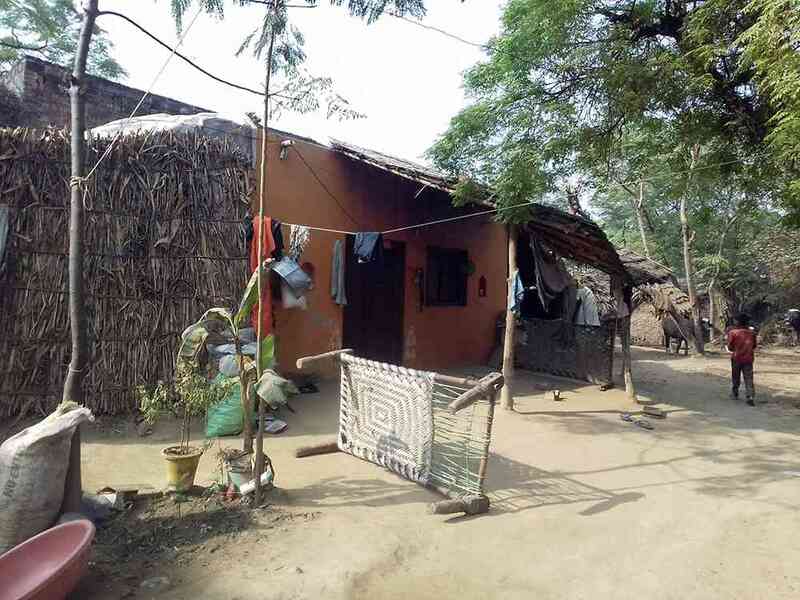 While the families of the two minors live in the Muslim settlement in the village, Raj’s family lives in the Dalit hamlet. At Raj’s home, his family claimed he was a recent recruit of the Bajrang Dal. Raj’s Twitter timeline is filled with boasts and warnings related to anyone who kills cows. Translation: Any cow slaughtering would lead to disruption of your festival [Eid]. Mind it! Translation: Once again Hindutva and Bajrang Dal has won. Uttarakhand government has put a stay on an under-construction slaughterhouse. Jai Sri Ram. In his complaint, Raj said that the carcasses were found on a farm owned by a person identified as Rajkumar Chaudhary, 36, a resident of Mahaw. He too has been named in the case of violence. This correspondent spoke to several villagers in Nayabaans and Mahaw. None of them had seen any carcasses. The police also did not have any clear information on the matter. Rajkumar Chaudhary’s wife Preeti Chaudhary said her husband received a call on Monday morning after which he rushed to his fields. He returned home around an hour later, she said, before leaving again. She claimed he told her about the carcasses but did not have more details to offer. Preeti Chaudhary said a group of village men came to her home later and took away the family’s tractor trolley. It was this trolley in which the carcasses were taken to the police post. Preeti Chaudhury claimed she has not seen her husband since. Rajkumar Chaudhary is absconding too, the police said. Nayabaans village. (Photo credit: Abhishek Dey). This report was updated on December 5 to incorporate fresh eyewitness testimonies on the carcasses found in the field. Corrections and clarifications: In an earlier version of this article, Rajkumar Chaudhary’s wife’s name was erroneously mentioned as Suneeta.